JVESoft has a component suite for consumer apps that integrates multiple third party ad network and in app payment solutions into Delphi XE8 Firemonkey. This component suite is cross platform to all of the support Firemonkey platforms which are Android, IOS, OSX, and Windows. Some of the ad networks and payment APIs are only available on Android and IOS. Component wrappers are provided for the Chartboost, RevMob, AppFlood, AdMob, and iAd SDKs. Additionally, it has the ability to integrate your own custom ads into the mix. The component wrappers utilize static libraries from the ad networks on IOS and JAR packages on Android. Delphi XE8 does ship with a multidevice TBannerAd component but this component suite will greatly increase your revenue potential. The payment API wrappers in the suite include support for the Android IAP and the IOS IAP SDKs (which also ship with XE8 as the TInAppPurchase component). Additionally, it comes with support for the PayPal API which gives you payment support on Windows and OSX. And you could utilize the PayPal payments API in your enterprise applications or apps that you distribute directly on the web (and not through the app stores). The JVESoft component suite comes with other components for Google Analytics as well. These components should also work with Appmethod. This is a commercial component suite and a free trial is not available. 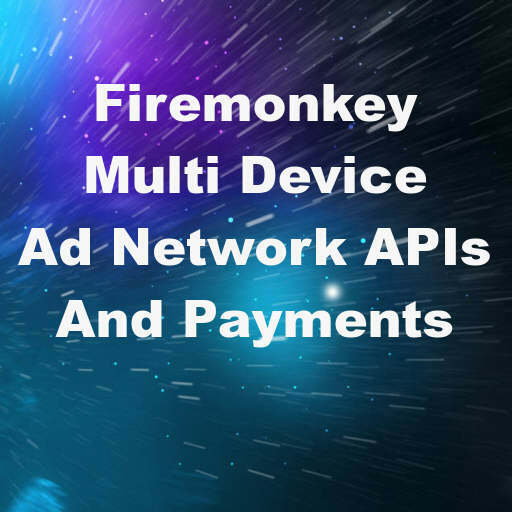 Head over and check out all of the features of this ad network and payments component suite for Delphi XE8 Firemonkey.